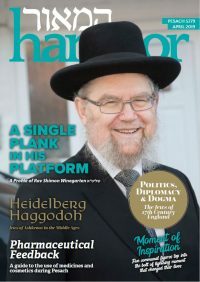 A look at the lives of prominent rabbonim and communal leaders buried at this historic cemetery – containing over 50 detailed biographies and rare photographs. 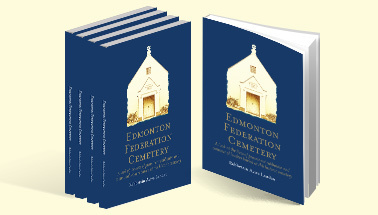 Edmonton Federation Cemetery, consecrated in 1889, is world-renowned as the resting place of many tzadikim and tzidkoniyos, including gedolei hador. But visitors to the cemetery office often have trouble locating these graves or wish to know more about these great people. This book is available to order for at the special introductory price of £5 plus P+P (normal RRP £7.50 plus P+P) – offer for a limited time only. 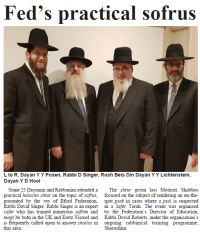 To order your copy online via PayPal please complete the form below (for international orders or to order with an alternative form of payment please email info@federation.org.uk).